We already know that self storage is a big hit with homeowners, renters, college students, military personnel, and more, but did you know that self storage (especially climate-controlled self storage in Joplin) can be incredibly beneficial to businesses large and small? It's true! All types of businesses use self storage in Joplin, MO, from lawn care companies to contractors, from offices to Etsy shops. Self storage can provide a safe and convenient home for excess business inventory, give you a place to store office supplies and bulky furniture or equipment that you're not using, house records and files that you need to keep on hand but don't necessarily access every day, and a whole lot more! Vehicle storage can even provide places to park work trucks or other equipment! Whether you're looking for a place to store lawn equipment during the off season or just need to stage products as you get them ready to ship, self storage in Joplin, MO can help! 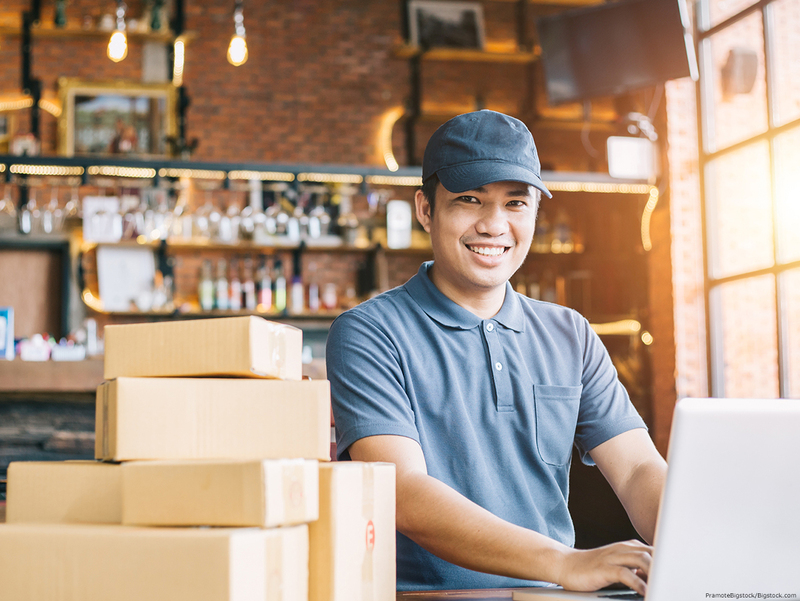 If you run a sales business, you'll probably need to keep a lot of stock on hand—whether that's samples to show and give out or products that are waiting to ship to customers. And no matter what kind of business you run, you're going to need to hold on to receipts, tax documents, and other paperwork, sometimes for years as required by law. All of that stuff takes up space, and all of it needs to be kept safe from the elements in a location that's easy to access when you need it. Self storage to the rescue! Home-based businesses, especially, can benefit from self storage in Joplin. After all, when you run a home-based business, you can end up filling your house with excess inventory, tools, office equipment, shipping supplies, records, and whatever else goes into making your business work. If you'd like to reclaim that spare bedroom and turn it into a guest room or clear your business inventory out of the attic or garage, then climate-controlled self storage in Joplin may be the perfect way to do it. For those who re-sell items on eBay, finding a place to keep everything before it's ready to ship can be tricky. If you have an Etsy shop, you may need someplace to store crafting supplies and tools. Maybe you refinish antique furniture and want to make sure that your latest project is protected from extremes of heat, cold, or humidity until it's ready to go to its new home. If you're a direct sales rep, you probably have a lot of paperwork on hand. Whatever your business, there's a climate-controlled self storage solution in Joplin that's perfect for you! Whether you run a thriving business employing dozens of people or just have a side-gig selling homemade jewelry on Etsy, Countryside Self Storage offers climate-controlled storage in Joplin, MO to meet all your business storage needs. To learn more or to reserve your self storage unit today, contact us at our Joplin storage location or at our Pittsburg and Frontenac locations, too!